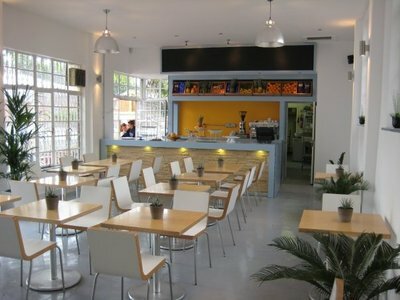 This gorgeous bright modern British restaurant overlooking the pool in Brockwell is just fantastic. The mouth-watering menu changes monthly, offering salads, savoury tarts and a selection of imaginative main courses. The recently refurbished Art Deco pool and buildings are Grade II listed and make for a striking setting for lovers of 1930s architecture. They sell a typical English breakfast which is just wonderful in the summer when the sun is shining and you can sit outside overlooking the pool. 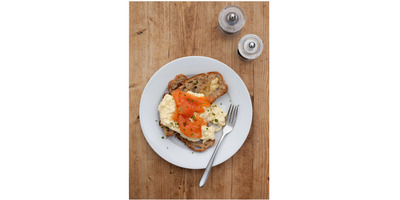 If you fancy treating yourself go for the Presecco Breakfast smoked salmon and scrambled eggs with a morning class of Presecco to top it off. The evenings here are also great and the place transforms with its friendly candle-lit atmosphere and helpful and speedy staff. 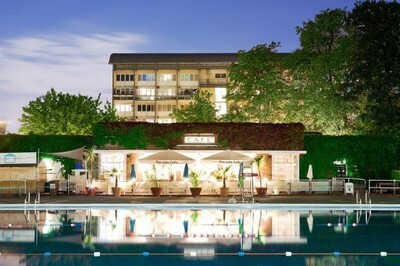 The view of the lido is gorgeous and makes a change of being surrounded by buildings and cars in central London. The food ticks all the boxes; seasonal and locally sourced with delicious dry aged burgers of beef and chorizo in homemade brioche buns and extremely good hand-cut chips. The beef is hung for at least 4 weeks and you can tell the care that is taken when you take your first bite. I was told that the beef is from Hampshire and advised to add some emmental cheese to my burger which was a fabulous tip as this was definitely one of the best burgers I have ever had and I am a big burger fan. 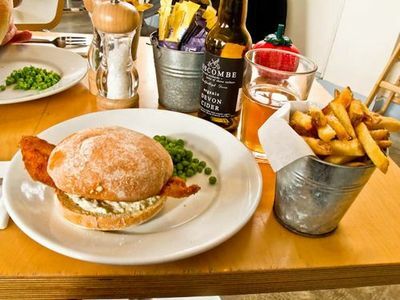 My friend tried the mackerel bap with tartare sauce, crushed peas, and triple cooked chips which I sneakily had a bite of. Really worth it too, delicious fish. Finally, the dessert was to die for and I would go back tomorrow just for this. 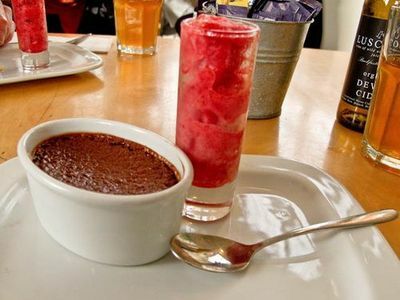 An amazing ginger chocolate pot with orange sorbet. Just melt in your mouth delicious. If you go, make sure to leave room for one of these. 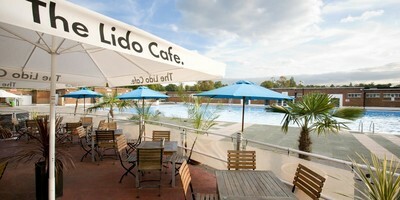 All in all, The Lido Café is a revelation for its high quality (but low cost) food, drink and service. The restaurant was busy and buzzy on a Saturday evening, but we got a table at short notice when other local restaurants were full. You can book online very easily and I would definitely recommend a visit.